Contest has ended. And the winner is… Mike Withrow! 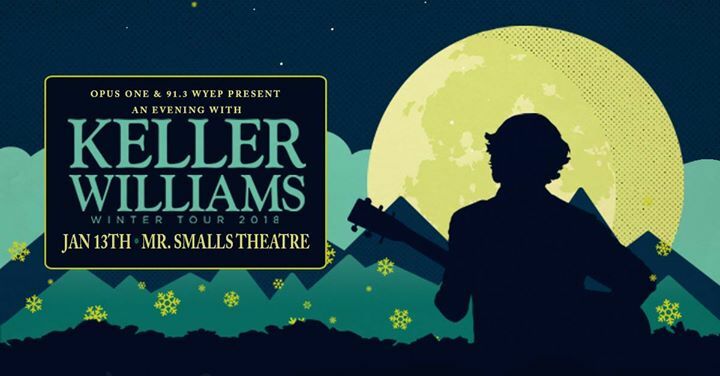 Keller Williams released his first album in 1994, FREEK, and has since given each of his albums a single syllable title: BUZZ, SPUN, BREATHE, LOOP, LAUGH, HOME, DANCE, STAGE, GRASS, DREAM, TWELVE, LIVE, ODD, THIEF, KIDS, BASS, PICK, FUNK, VAPE, SYNC and RAW, those who have followed his career will know this. Each title serves as a concise summation of the concept guiding each project. GRASS, for example, is a bluegrass recording cut with the husbandwife duo The Keels. STAGE is a live album, and DREAM is the realization of Keller’s wish to collaborate with some of his musical heroes. THIEF is a set of unexpected cover songs, KIDS offers Keller’s first children’s record, PICK presents Keller’s collaboration with royal bluegrass family The Travelin’ McCoury’s, and RAW is a solo acoustic album. Each album showcases Keller’s comprehensive and diverse musical endeavors and functions to provide another piece of the jigsaw puzzle that is Keller Williams. Keller’s collaborative and solo albums reflect his pursuit to create music that sounds like nothing else. Unbeholden to conventionalism, he seamlessly crosses genre boundaries. The end product is astounding and novel music that encompasses rock, jazz, funk and bluegrass, and always keeps the audience on their feet.